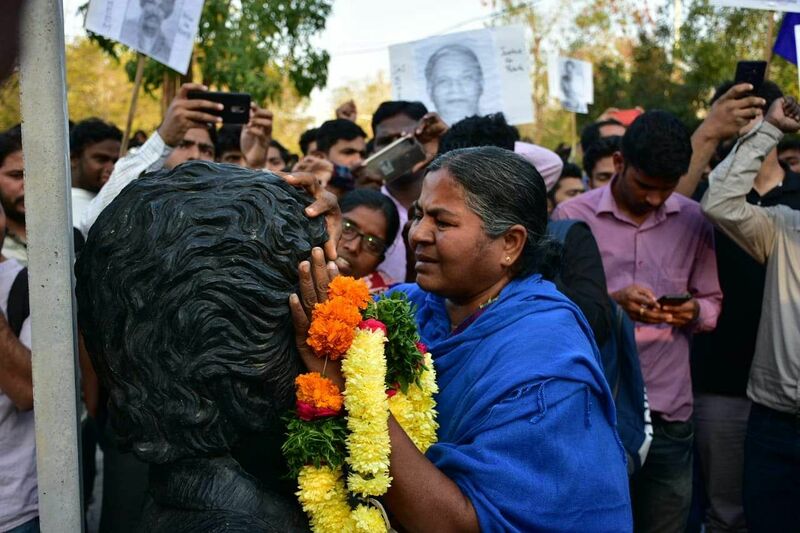 On the third death anniversary of Rohith Vemula, his mother was denied entry into the campus to pay respects to her son's statue. 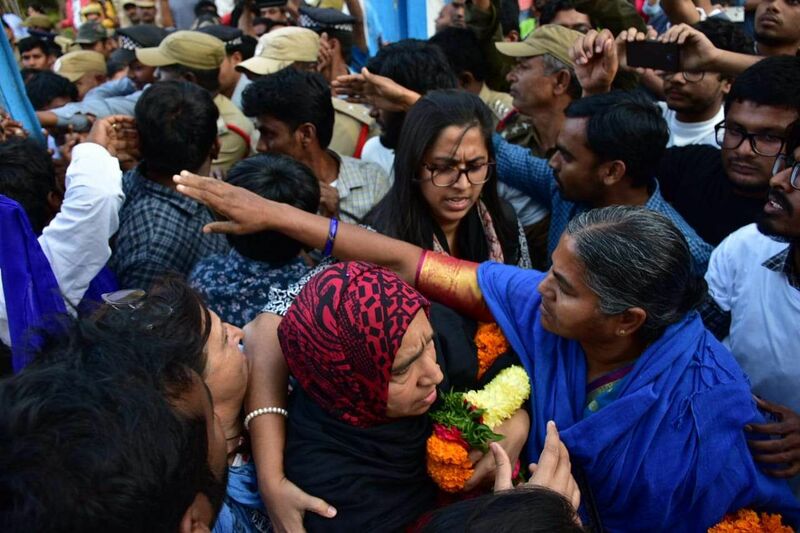 As she stood behind the gates of the University, the woman who stood next to her was missing JNU student Najeeb's mother, Fathima Nafiz who was also there to pay her respects. The two son-less mothers have been traveling acrstoss the country campaigning for the justice their sons were denied, today the gates were closed to them. However, after a struggle they were finally allowed to attend the programme at Velivada. 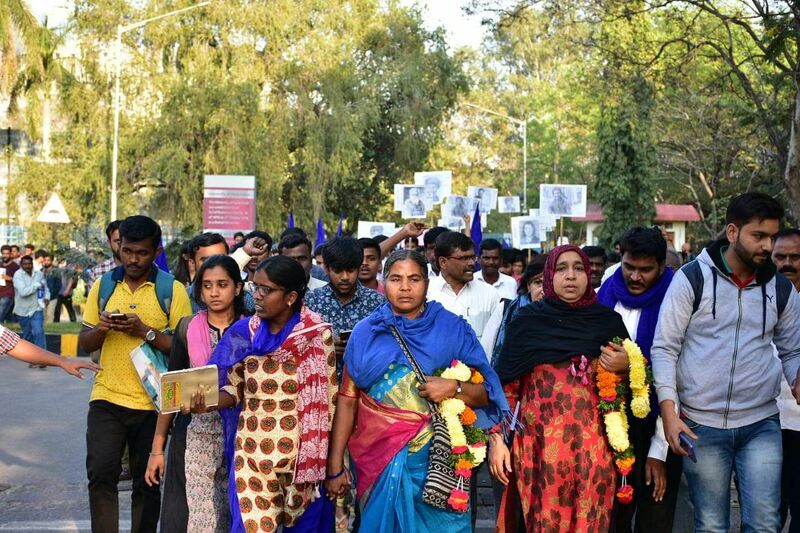 The Ambedkar Students Association had organised a programme to observe 'Rohith Shahadath Din' and like the past two years, Radhika Vemula, Fathima and several other activists had been invited. But this year, the administration had refused to allow anybody to enter the campus. Almost 50-60 people including several well-wishers and admirers of Rohith Vemula were left standing outside. 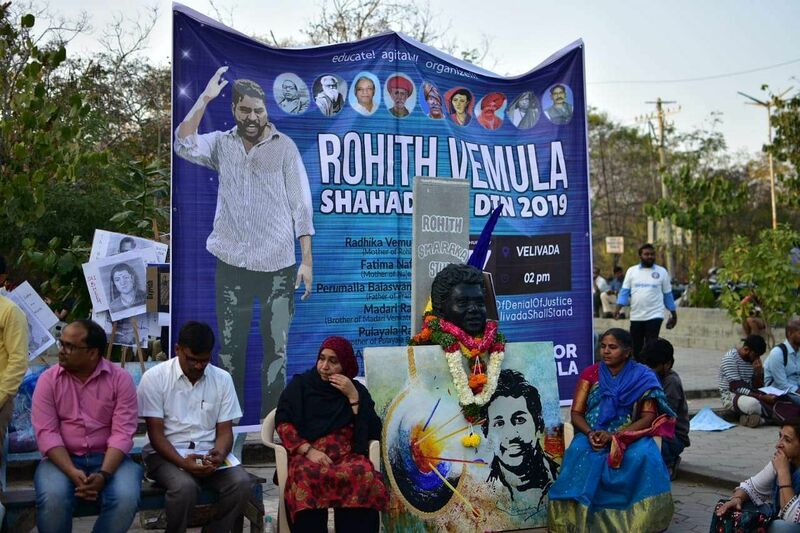 The ASA had prepared to organise the programme at Velivada, an area on campus where Vemula sat in protest after his suspension. 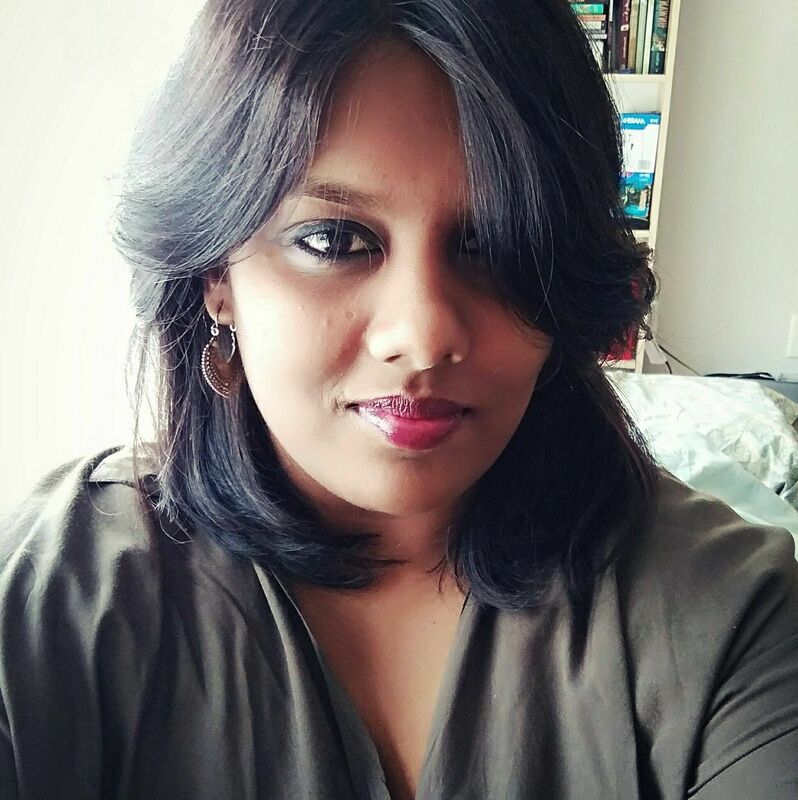 The ASA had invited speakers for panel discussions and had also invited other prominent anti-caste activists, researchers and advocates to attend the event. Several students from other universities and colleges had also come to pay their respects. Veilvada was recently destroyed allegedly by the administration, "The administrators are telling us to hold the programme in the auditorium but we were determined to hold it in Velivada," said Samson Gidla, the president of the ASA. After protests, the administration finally gave in and allowed the students to hold the memorial at Velivada. The students also said that a huge number of police had also descended on the campus, "They are trying to scare us by bringing the police in but we were determined to hold the meeting," Samson said. Around 200 students holding banners marched up to the gates to demand that the guests be allowed in but were involved in a tussle with the police. The scenes were reminiscent of the large scale protests that broke out after Rohit Vemula's demise in 2016. However, after about an hour of push and shove, the guests were allowed inside. The University authorities were unavailable for comment.